Turn the memory of a loved one into a beautiful remembrance diamond with a Memorial Diamond. It won’t be able to bring back your loved one, but it offers you the chance to continually feel this person’s love and turn it into an everlasting remembrance diamond. A piece of this love will thus always be with you, something that no one can take from you. The many small things that make a person special find tribute in this piece. This keepsake will always accompany you with a remembrance diamond, as love never dies. To lose a beloved person forever is one of the saddest moments one ever experiences in life. A look back to past times, however, helps to cope with the pain. Remembrance diamonds immortalize your loved one into a precious token. 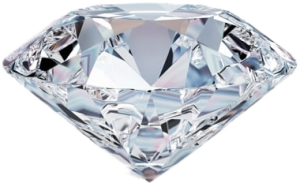 To produce a remembrance diamond, only a portion of the ashes of the deceased is needed. This allows for the remainder of the ashes to be places in an urn. A remembrance diamond, however, is produced entirely with cremated ashes, to turn a beloved person into a jewel. Diamonds make the perfect piece of remembrance because they are eternal. Diamonds have also always symbolized love and will continue to do so. Remembrance diamonds offer you a way to express your eternal love for the deceased. Memorial Diamonds are relatively new, as the procedure involved has not been around long. In spite of this, people are increasingly interested in Memorial Diamonds. Each diamond has a unique look and can vary in tint, from white to a blueish color, and size, depending on your preference. The diamond is also cut to your liking. A remembrance diamond can be made into a beautiful piece of jewelry. A Memorial Diamond allows you, for example, to wear your loved one around your neck on a pendant. You may also wish to keep the stone for yourself. Life is short, and yet of endless worth, as eternity sprouts from within it.